The National Board of the Republican Liberty Caucus (RLC) has voted to endorse Mark Bircher in his race for the U.S. House of Representatives from Florida's 13th Congressional District following the recommendation made by the RLC of Florida. Mr. Bircher, born in Pensacola, lives in Pinellas County, which is part of Congressional District 13. He is a veteran of Iraq and Afghanistan, joined the military in 1971 and retired as Brigadier General in 2009 with the United States Marine Corps Reserve. In addition to his three decades of military service, Mr. Bircher is an attorney and an active member of the Florida Bar. He is a graduate of Stetson University College of Law. "We're proud to endorse decorated veteran Mark Bircher. Mr. Bircher has proven that he isn't willing to just talk about his love for liberty. He's risked his life for it. Mr. Bircher's opponent, incumbent Rep. David Jolly, is without question one of the most liberal Republican Congressmen in the U.S. House of Representatives. We can't afford to have David Jolly serving in Congress any longer. 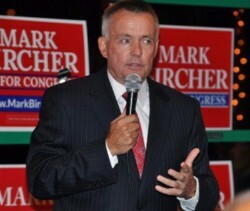 Florida, and America, needs Mark Bircher" said Chairman Matt Nye. 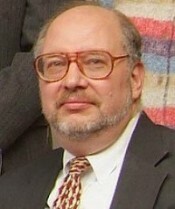 Mr. Bircher is one of a growing group of Republicans calling for adherence to the Constitution and an end to undeclared wars. He is married to his wife of 15 years and is the father of one son, Bill. 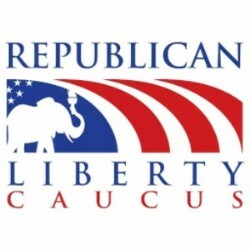 Mark Bircher said, "I am pleased to receive the endorsement of the Republican Liberty Caucus. 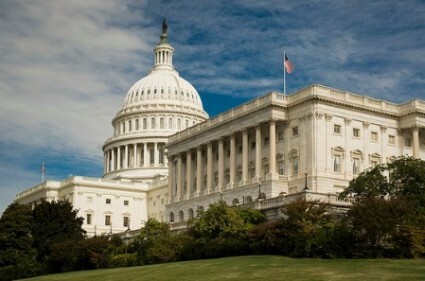 Our Republic must return to the founding principles of the Constitution: limited government, fiscal conservatism, personal responsibility and the rule of law." Since 1989, longtime RLC legend Clifford Theis has compiled the "Liberty Index," an in depth scorecard for all members of Congress. Theis is a Professor of Finance and Economics at Shendendoah University, an author at the Independent Institute and the newly elected Chairman of the RLC of Virginia. We're pleased to say that Congressman Justin Amash scored a perfect 100 in the House and Senator Rand Paul leading in the Senate with a 93. Both are tireless defenders of liberty and exemplify what it means to be endorsed by our organization; we sincerely thank them for taking a stand for liberty.